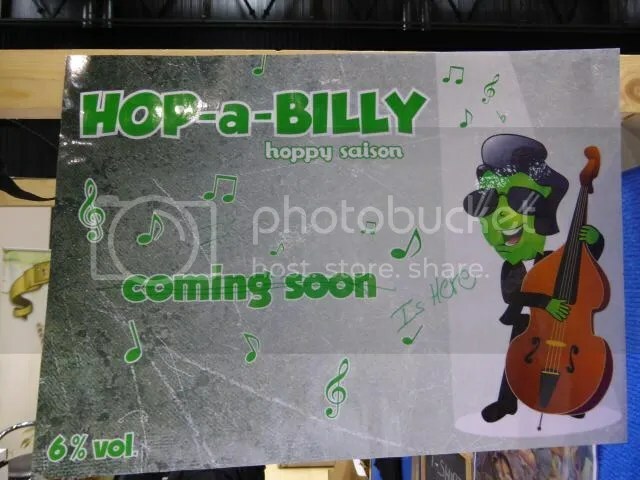 Hop-a-billy coming soon, said the poster on the stand your slightly bewildered correspondent happened to stop at. 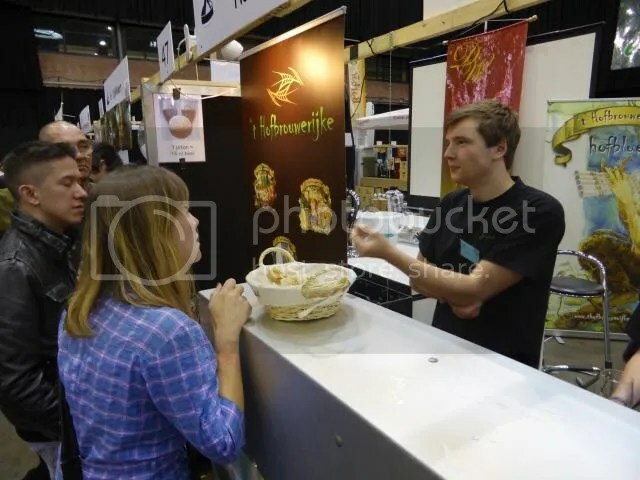 The event was the Zythos beer festival, the biggest national event of its kind in Belgium. 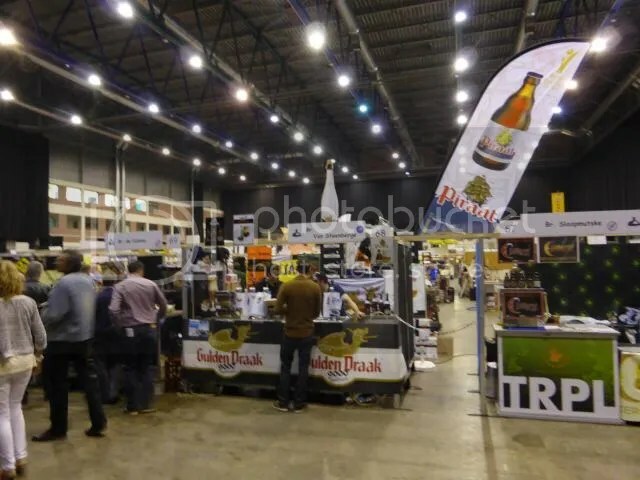 They don’t claim to have all the breweries in Belgium present, but there is a fair chance you’ll find something to your liking among the endless row of stands. But back to the Hop-a-billy. I asked for a sample, and a polite young man barely out of his teens filled my glass. A boy who looked even younger shared the stand with him. – Are you a new brewery? I asked. – Have the two of you you been running a brewery for ten years? You must have been very young? They explain that ‘t Hofbrouwerijke is a family business, and that they were helping out doing the bashing and bottling from the early days. The beer is a 6% saison, but with some lovely South Pacific hops added in. Crisp and refreshing. Nice to see that when others are playing around with their styles, the Belgians can think out of the box as well. I also try the Flowersour. As the name implies, it is both sour and flowery, with an aroma of rose petals, sour fruit and balsamico. Maybe a bit too flowery, but I am very happy to have some beers that are not true to their style at this point. I buy some of their bottled beers to take home, despite the fact that my baggage allowance is way too low. The festival as such is a pleasant surprise. This is a Sunday afternoon, there is plenty of beer available, and it is nice, clean and tidy. Not too crowded, either. Convenient free shuttle bus from Leuven station, which again has direct trains to Brussels airport. A day trip is doable, at least from Northwestern Europe. I have a feeling that the Saturday session is more crowded, but I could be mistaken. And a beer festival without enough customers would not be much of a success, would it? So Zythos is definitely a festival to come back to – next time for a full day session. Some of these breweries and beers are hard to find, and, while I recommend a round trip of Beligum, you are not likely to cover all the ones you’d like to try. I travelled to Belgium as a guest of VisitFlanders.